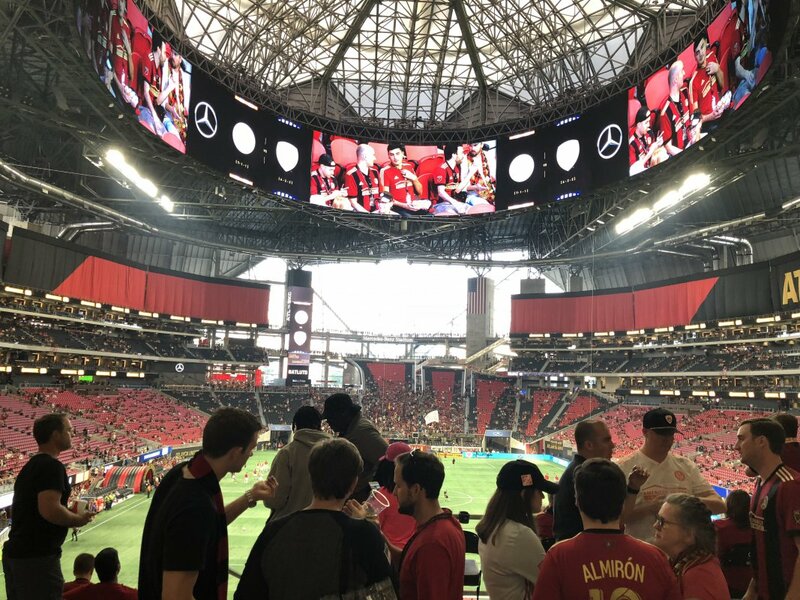 In the ever-evolving world of stadiums and arenas, Atlanta’s Mercedes-Benz Stadium is definitely a trendsetter. That much is apparent from the moment you lay eyes on it from afar, as the first thing you likely will notice is its unique design — like a giant metal flower getting ready to bloom. 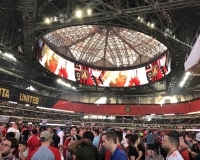 From there, there’s plenty to check out in the new home of the Falcons and Atlanta United FC. 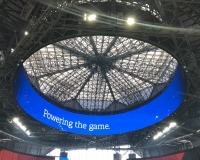 It really is an impressive structure inside and out, and it better be — after all, a lot of time and expense went into building Mercedes-Benz Stadium, and a perfectly functional (though admittedly bland) stadium, the Georgia Dome, was sacrificed in the name of progress. 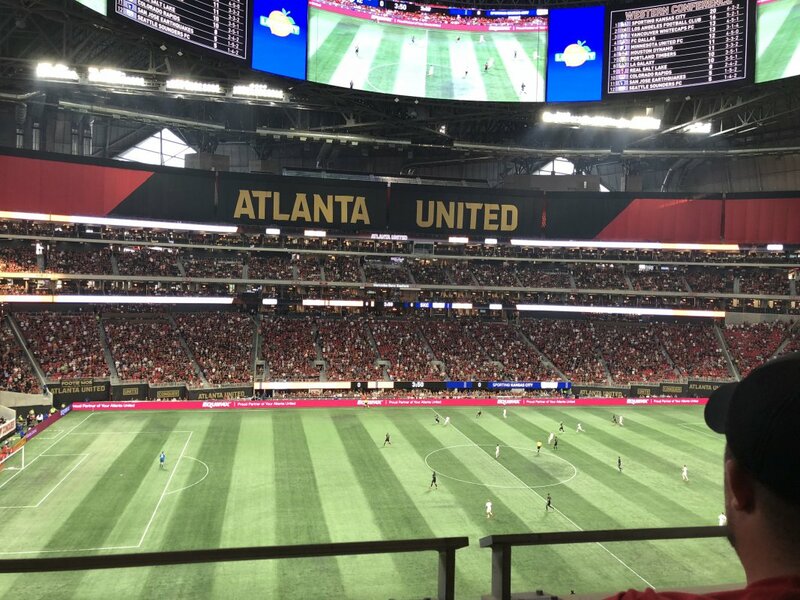 The new venue has already helped keep Atlanta in line for many of sports’ biggest events. 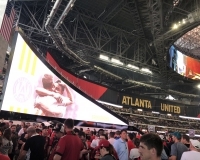 It hosted the College Football Playoff championship game within its first year of experience, and it will host Super Bowl LIII after the 2018 season. Whether it’s a title tilt or a regular-season football or soccer match, Mercedes-Benz Stadium has quite a lot to offer the spectator. 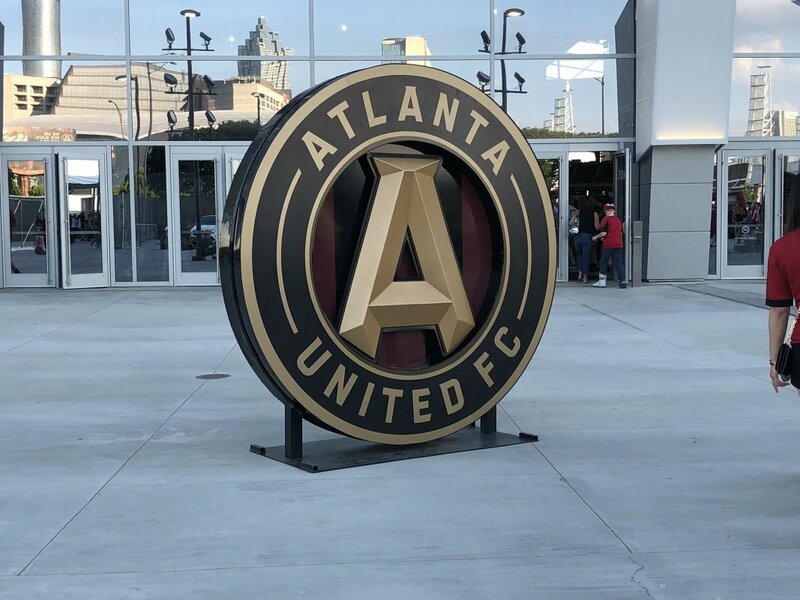 For more on visiting Atlanta, check out our Atlanta city guide. 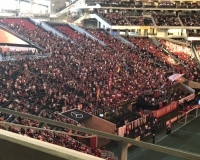 If you had ever gone to the Georgia Dome during its history, or if you’ve visited the neighboring Philips Arena, then nothing much has changed; you’re mostly going to Mercedes-Benz Stadium the same way. 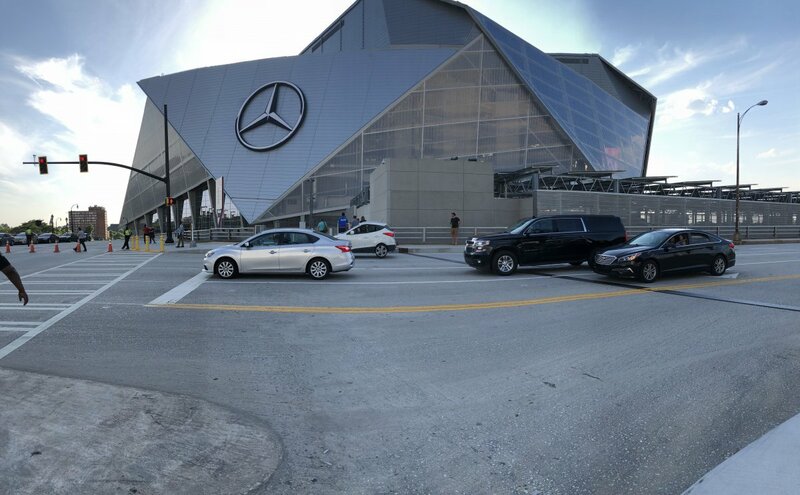 For the uninitiated, though, getting to the stadium, on the western edge of downtown Atlanta, is relatively uncomplicated. 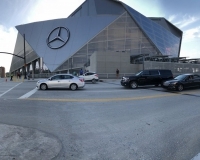 Atlanta’s MARTA rail system has a station that services the stadium area, and though it has a very cumbersome name — Dome/GWCC/Philips Arena/CNN Center — it at least tells you every major attraction around the stop (at least, if you imagine Mercedes-Benz Stadium as the thing “Dome” is describing) and makes it clear where you have to go. If you’re commuting from points north or south, you will have to transfer at the Five Points station to get on the correct line. 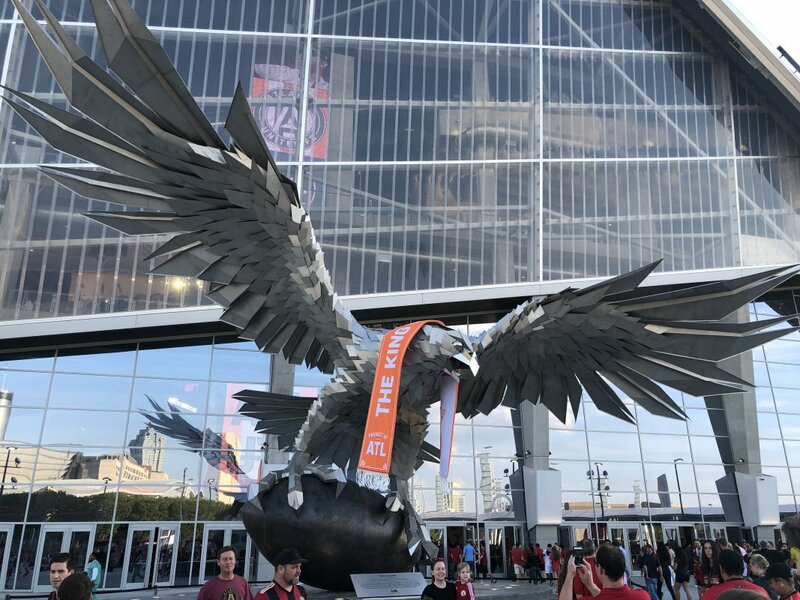 But truth be told, the Five Points stop is less than a mile from the stadium, a pleasant walk on most game days and one many local fans will prefer to take. 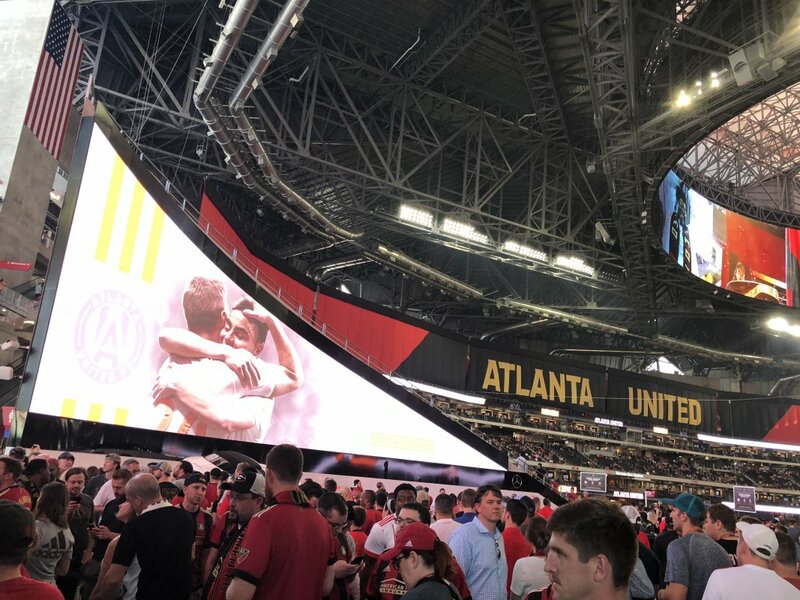 Drivers will have a few routes to the stadium via Interstates 85 and 20, but expect to find the usual congestion befitting a downtown venue, more so if it’s a weekday. 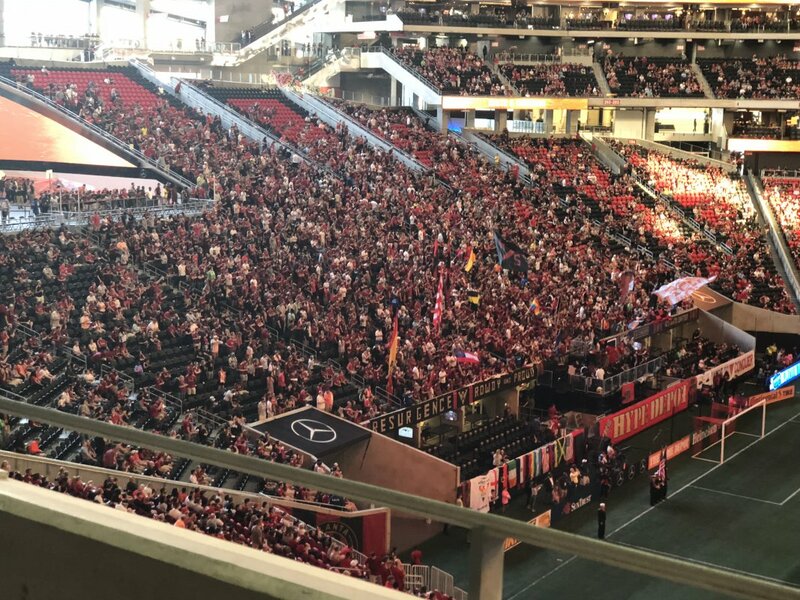 Meanwhile, parking around the stadium is fairly limited in the immediate vicinity, with many of the more expansive options a half-mile or farther away. For most events, the closest lots (most of which are denoted by letters) are permit-only. See this map for parking options. For the one-time visitor, a more viable and economical option may be to park downtown. The stadium partners with ParkMobile to offer advance-purchase parking. Many lots are structures downtown are within a reasonable walk of the stadium, ie. not much farther than a walk from the Five Points station. 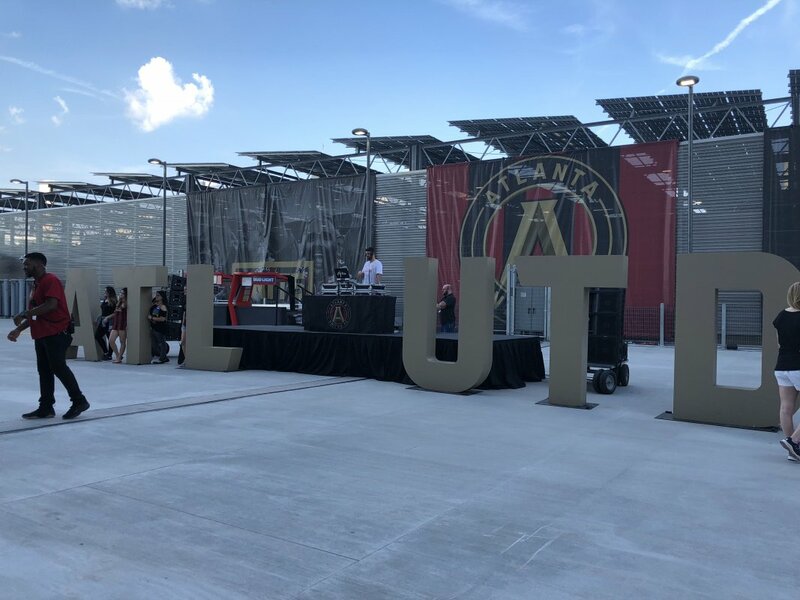 And besides, the closer you park to downtown, the more options you have for entertainment prior to the game (see “The Buildup”). 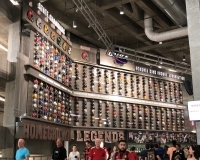 After the Georgia Dome was imploded in November 2017, nearly a year was spent cleaning up the space. 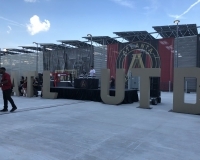 But for the 2018 NFL season, the “Home Depot Backyard” will be introduced, offering a giant greenspace that will be used for premium tailgating on gamedays and will serve as a community park the rest of the time. 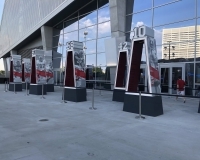 It promises to be a hub of activity before games begin and will likely be worth at least a walk-through to check out the scene. 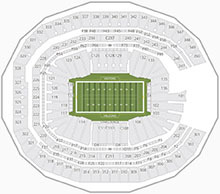 For other activities, the vast majority of options exist to the east of the stadium, toward the heart of downtown. 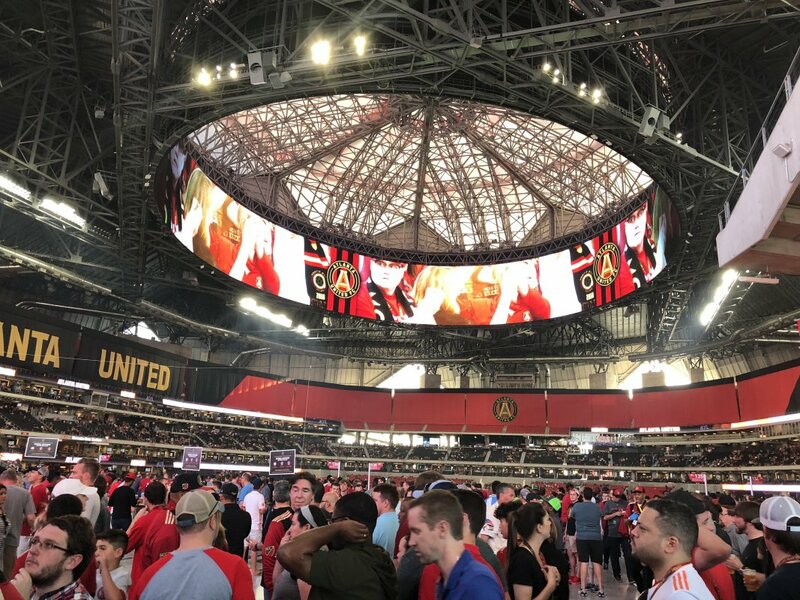 On the other side of Philips Arena, the CNN Center offers a food court and restaurants, and from there, pretty much all of downtown is within your reach via foot or short train ride. You can visit this guide for eating options in the downtown area. 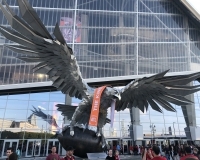 Also plan on taking time during your visit, whether it’s pregame or not, on seeing some of the sights near the stadium. 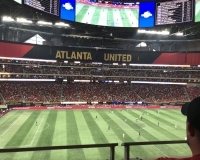 The CNN Center, Georgia Aquarium, World of Coca-Cola, Center for Civil and Human Rights, College Football Hall of Fame and Centennial Olympic Park, just to name a few attractions, are all within a short walking distance. The Mercedes-Benz Stadium experience begins before you even walk inside the building. 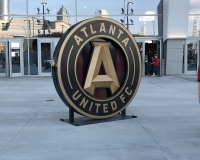 That’s because the entry turnstiles are located a short distance away, creating an outside concourse that fans can use to walk around the perimeter, get drinks at one of the handful of outdoor bars, or pose next to one of the many displays — such as a large Atlanta United logo or, most impressively, the head-turning falcon statue at the northeast corner of the stadium. 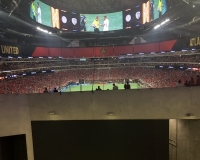 Once you enter through the doors, though, you’ll begin to see why this stadium stands apart from its fellow stadiums. 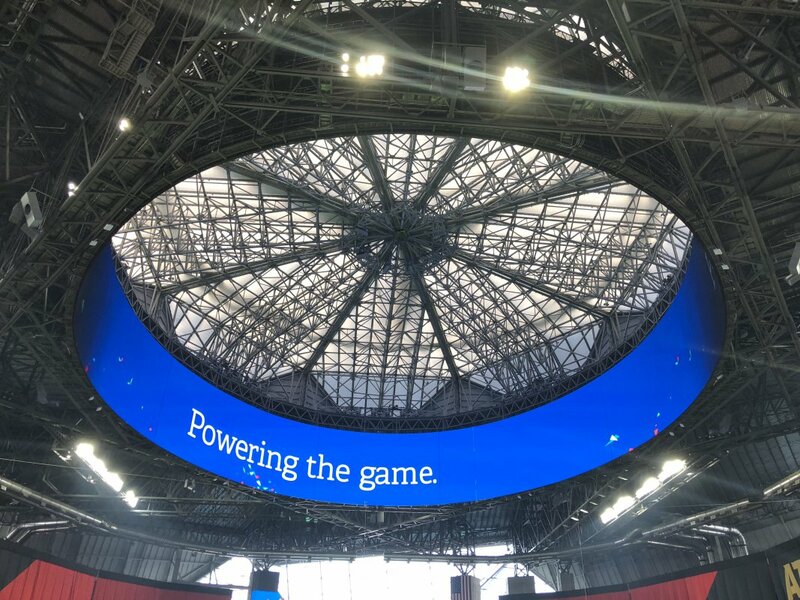 The most obvious one is the giant ringed videoboard that hangs over the playing field, the first of its kind in an American venue and a presentation that other planned stadiums are already intending to emulate. 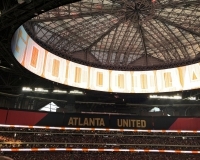 Don’t let the “halo” board distract you from taking a good look at the other highly visible technological marvel, the video board that wraps around a support column at one end of the stadium. 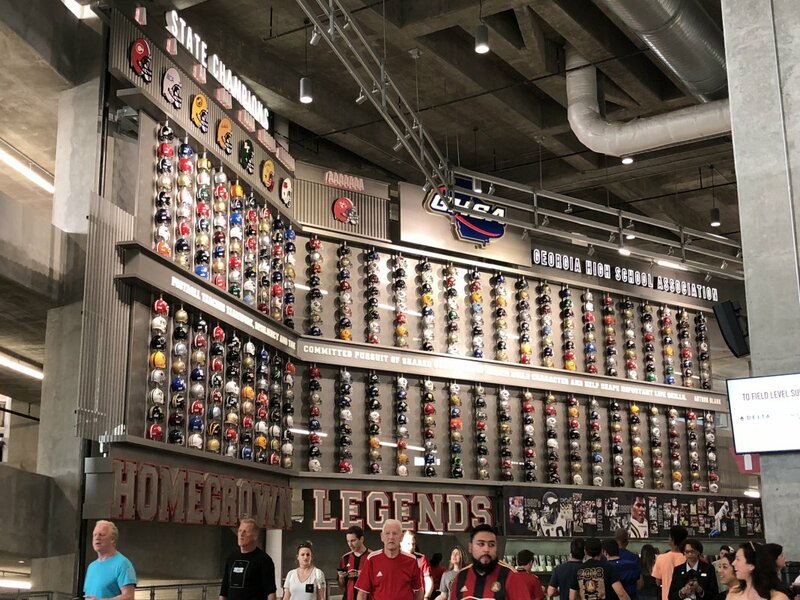 Walk around the wide and vast concourse for other unique displays, such as one that displays the helmets of every high school football team in the state of Georgia. 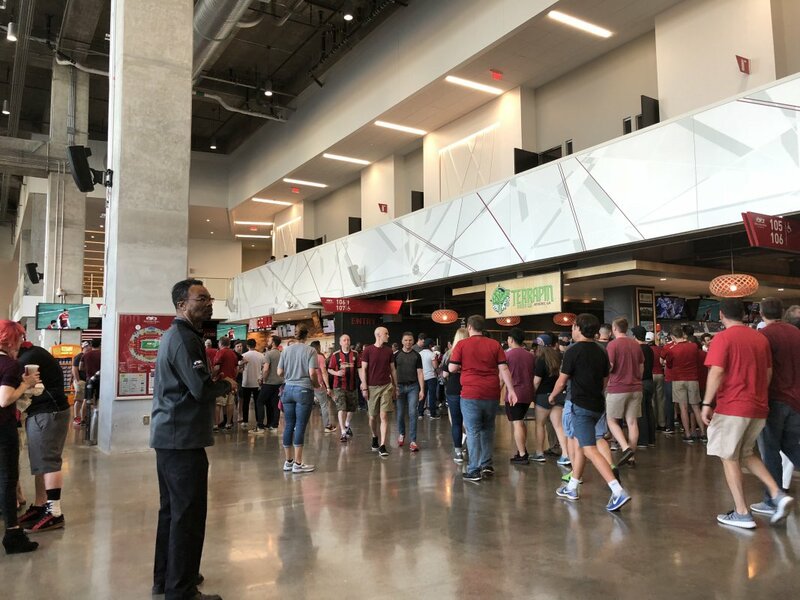 But do budget some time and money for food and drink, because this is actually one place where you probably won’t mind springing for stadium concessions. 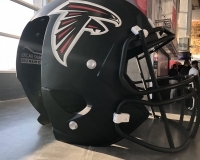 The Falcons made it a point to sell deeply discounted food and drink (at least, compared to standards set by other venues) and stuck to their word, offering items like hot dogs, popcorn and sodas for $2 and beer for $5. If your visit is a one-time experience, though, you might want to splurge, and local favorites such as Fox Bros. Bar-B-Q, Delia’s Chicken Sausage and even the venerable chain Chick-fil-A make it easy to do that. 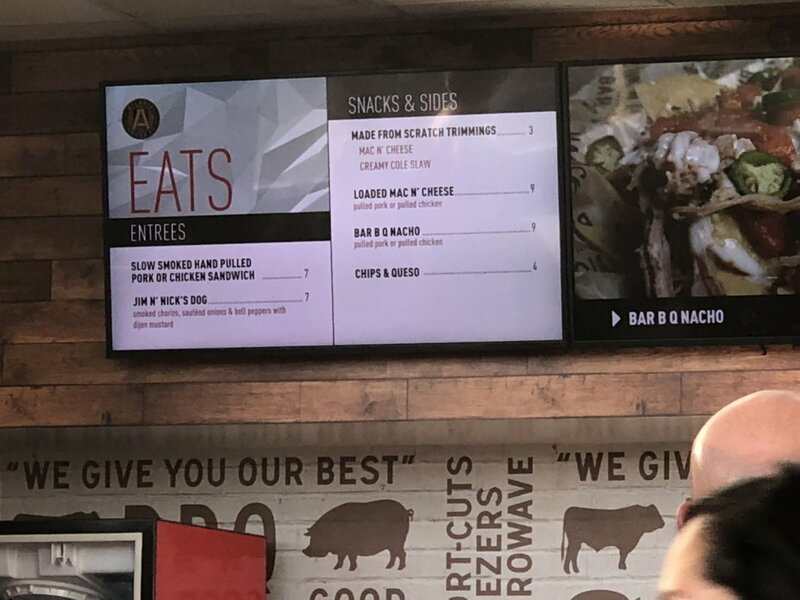 There’s also a full-service restaurant inside the stadium, called Molly B’s. 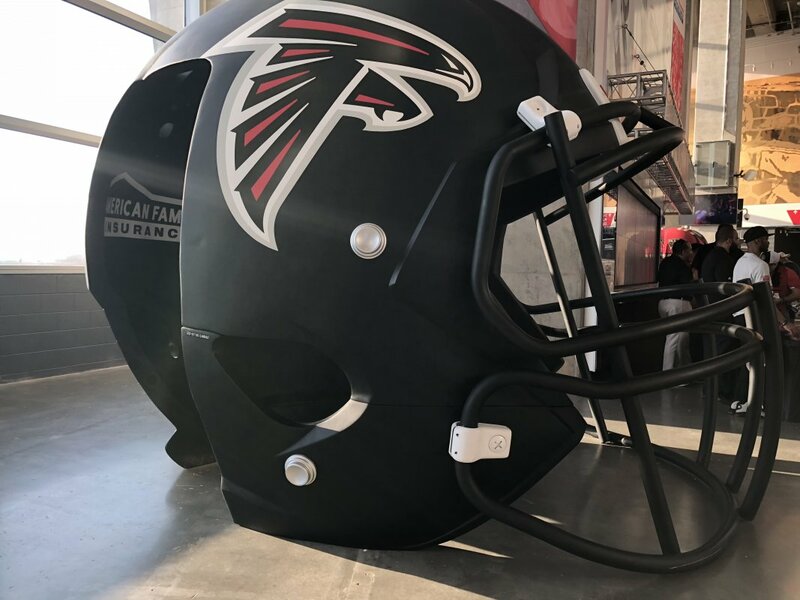 For a list of concessions available at Mercedes-Benz Stadium, click here. The seating bowl is appropriately vast, with three tiers of general seating and the usual array of club and suite levels — including sideline suites. 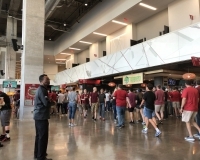 There are several spots from which fans can stand and watch the game from the concourse, most prominently from the bridges on the stadium’s northeast side. 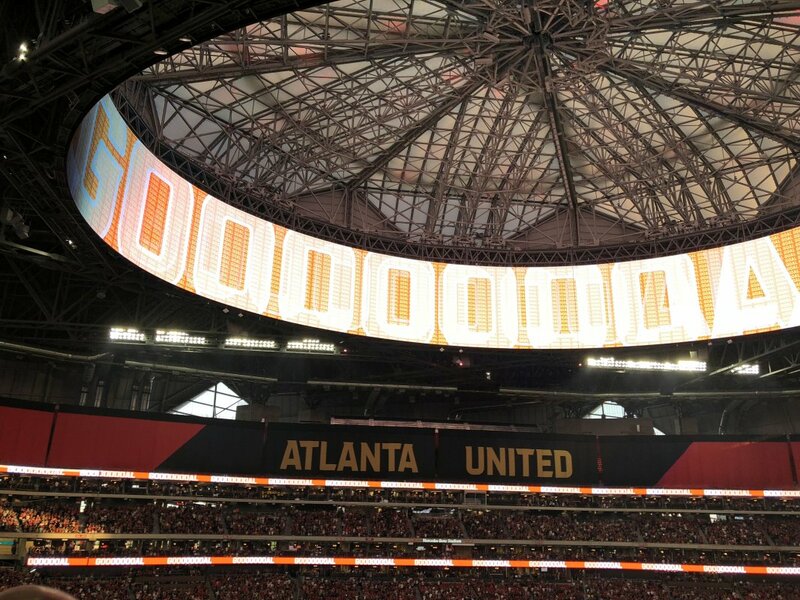 Just look for the giant window that looks out onto the downtown Atlanta skyline.